What is a Category killer? Definition and Examples of Category killer. Competition in the retail industry is becoming stiffer every day. It thus requires any business unit involved in this kind of business to invent ideal strategies that will see it managing the competition. A concept in business referred to as being a category killer is used when it comes to affecting small businesses operating in a particular region. Category killer is described as the process that comparatively large companies use by putting less efficient and highly focused traders out of business. Such large stores often ensure that they specialise in providing some products along with competitive personnel in such a manner that the relatively small retailers dealing with the similar product may hardly survive in the business. That is the primary reason why those big outlets are referred to as category killers. An Example – Imagine a Walmart opening in your neighborhood. Immediately, the surrounding retail shops such as groceries and hardware will see a drop in sale. in fact, now Walmart has such an assortment of goods that you hardly need to step out of the store to get anything. Thus Walmart in essence is a retail category killer. 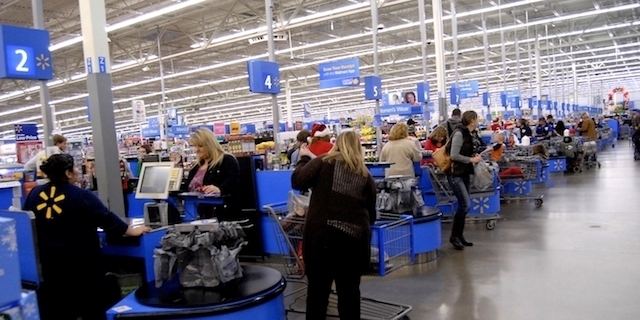 Where a person has only one brand option, he may enter Walmart and have the options of choosing a brand based on his liking. Importantly, you need to know that category killer is mainly retail chain stores that dominate the category of product they are specialising in. There are some that may act as single stores though in rarity. One element that sets these kinds of stores apart from the other small retails stores is that they are capable of offering their products at amazingly low prices. This hits the smaller stores to the extent that they are incapable of surviving. These category killers are also characterized by occupying larger physical space and attempt of owning the type of the products that they are trying to sell. It is usually difficult for the independent retailers to compete with these category killers and succeed in the market. In most cases, category killers often work with large marketing budgets, relatively broad inventory selection and have the ability to withstand any possible economic slump because they have many stores that carry the financial load. The edge that category killer stores have over the smaller stores is that they have a typical selection and prices that overpower the latter. The large sales usually occasion this that most of these category killer stores typically experience. But another important aspect that you have to know is that the advent of the internet has made it possible for category killers to suffice online. Nowadays, we have some category killers that operate online and have established a significant presence in offering different products in their particular niche. The other element that you ought to know regarding category is the product. There are some products from a particular manufacturer that have dominated the market to the extent that other similar products from different manufacturers are referred using the category killer brand. For instance, iPad has dominated the industry such that people tend to refer to tablets from other manufacturers as iPad. In as much as the competition that the category killer stores, it is still imperative to know that there are still strategic ways that can be used in ensuring that small retailers survive the competition. What needs to happen is that marketers should be innovative enough to make sure that they operate in unique ways that will make it possible for them to reach their target market. For instance, a great way that you can use in taming the competition is by ensuring that whenever a category killer store opens their business close to yours, you can go ahead to make sure that you specialise in a particular brand or model of the general product that they are offering. This will help in causing distraction such that the customers who prefer the specific type of brand you are offering will choose to come to your store rather than going to the general store. This way, you will be able to counter the competition albeit in a small scale in as much as it would be rather difficult to match the volume of sale that the category killer might be selling within a particular period.